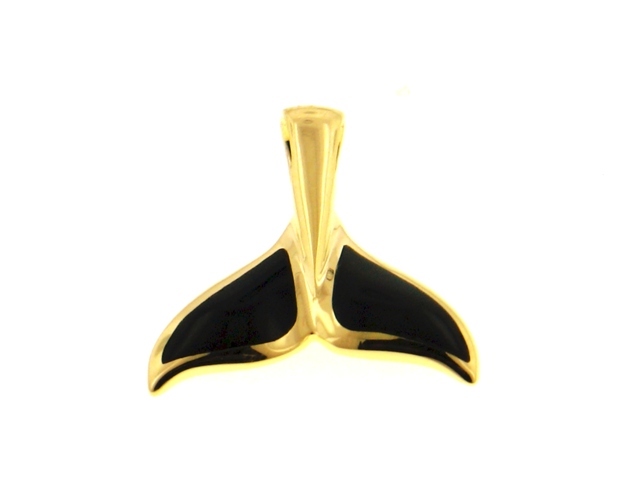 14-karat yellow gold whale tail pendant set with 2 slabs of black coral gemstone. This pendant measures approx. 15mms.